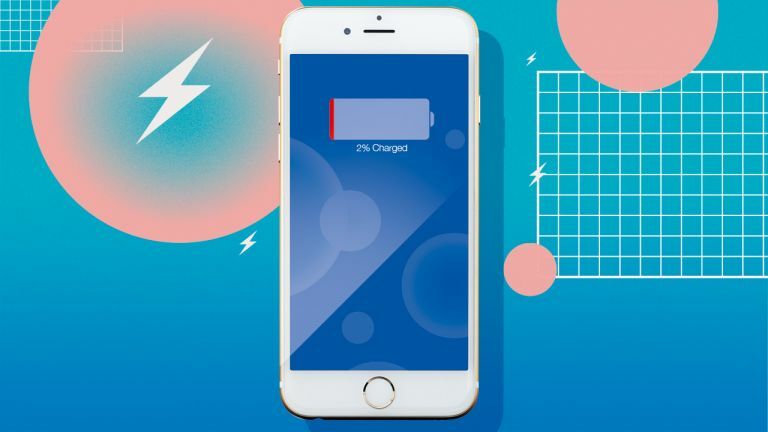 Before resorting to a bulky battery adapter case that will dent both your wallet and your street cred, there are a number of tweaks you can perform to eke out more battery life. One of the iPhone 6's biggest juice drainers is the screen: it's brighter and bigger than ever before, so you'll want to make sure it turns itself off pronto – head to Settings > General > Auto-Lock and reduce the time before it shuts off. Reducing the screen brightness to a comfortable level will also do wonders for your battery life. Many apps regularly update themselves behind the scenes, and this can quickly deplete your battery. Open up Settings > General > Background App Refresh, and turn off any apps that you're happy updating manually. You can also make battery gains by turning off unnecessary features. If you don't have any Bluetooth gadgets, turn it off. Same with Wi-Fi. And if you don't care for Apple knowing where you are all the time, switch off Location Services as well. Not a fan of Siri? Sacrifice her in the name of battery life – you'll be grateful for the extra time. Good news: whether you have an Apple or an Android phone, there are a number of options that will improve your typing experience. SwiftKey is excellent: free of charge, it offers a number of layouts, a range of languages and a top-notch prediction engine. Alternatively, give Swype a go. While this one costs a small fee, it's both slick and – once you get the hang of it – great fun, enabling you to glide between characters to quickly form words in one continuous flow. If customisation floats your boat, Fleksy is the one for you. Another free app, it offers tons of weird and wacky colours and themes for sprucing up your keyboard – and it's super-fast, too. If you've got an iPhone, select Find My iPhone (in your iCloud settings) and the next time it vanishes, head to either www.icloud.com/#find or the Find My iPhone app from another Apple device. From there, you'll be able to see if the little bugger is online – if it is, you can ring it, send a message begging for it to be returned, or remotely wipe the data from it. Google has made it even easier: type 'Where's my phone?' into a browser (signed in with the same Google details as on the phone) and you'll be shown it on Google Maps. You can then ring it, lock it or erase it from your computer.